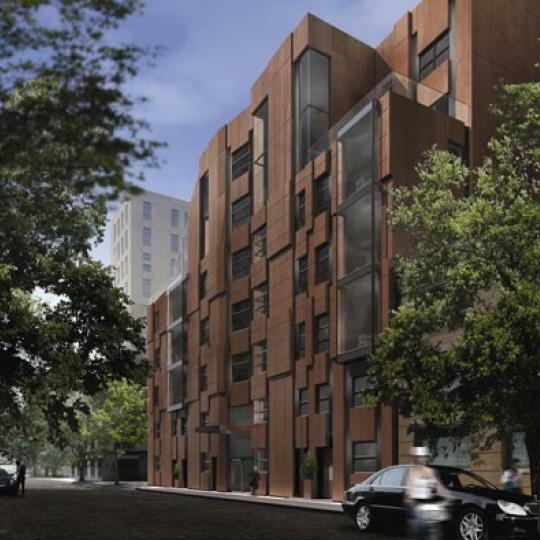 I would like information on apartments in 385 West 12th Street. Please contact me ASAP. 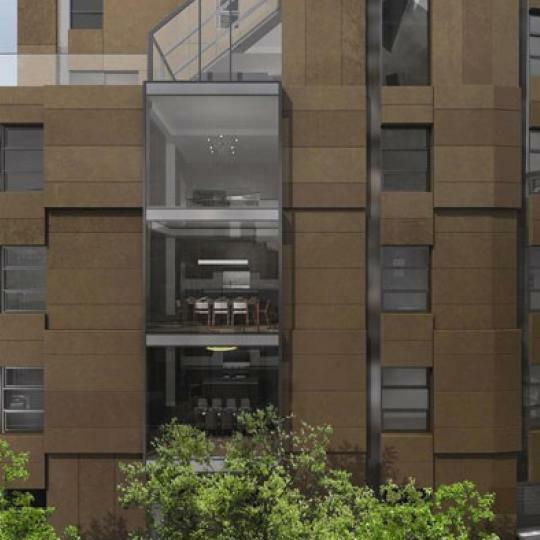 385 West 12th Street, located in New York City's West Village, was designed by FLAnk Inc. and is wonderfully modern. 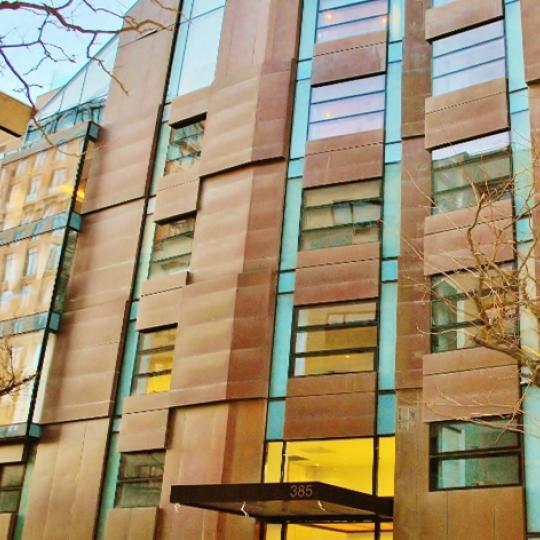 It has a modulated copper façade that is striking, making a bold statement with geometry and glasswork. 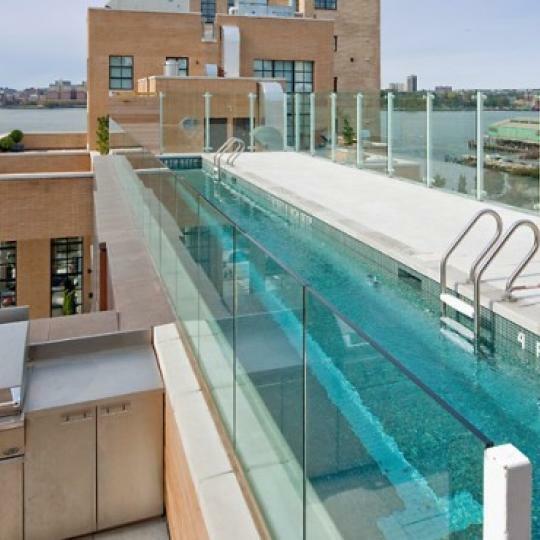 This luxury Manhattan condominium is located just steps away from the Hudson River. 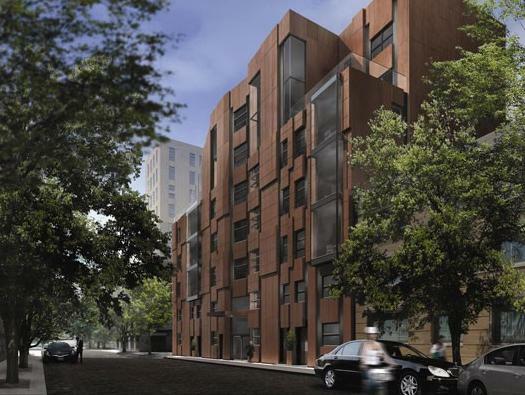 385 West 12th Street is home to 12 3- and 4-bedroom condos, some of which are town houses, flats, and penthouses. 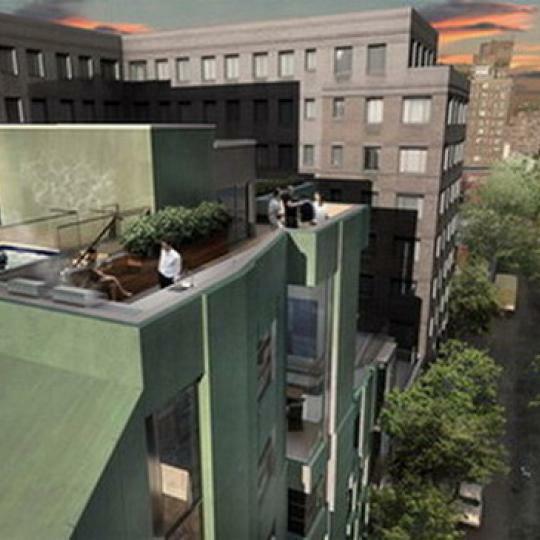 Each apartment for sale has its own private outdoor space and a shared rooftop, called the Aerie. 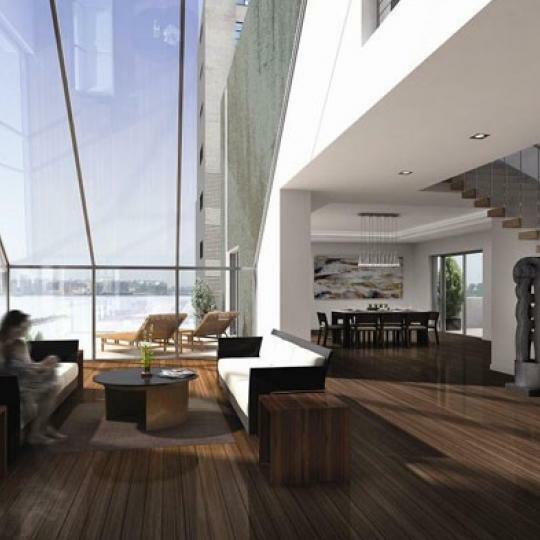 These Manhattan condominiums are spacious; modernity and clean lines help add to the openness of the design. Homes have kitchen and dining areas, gas-burning fireplaces, dens, and living rooms. 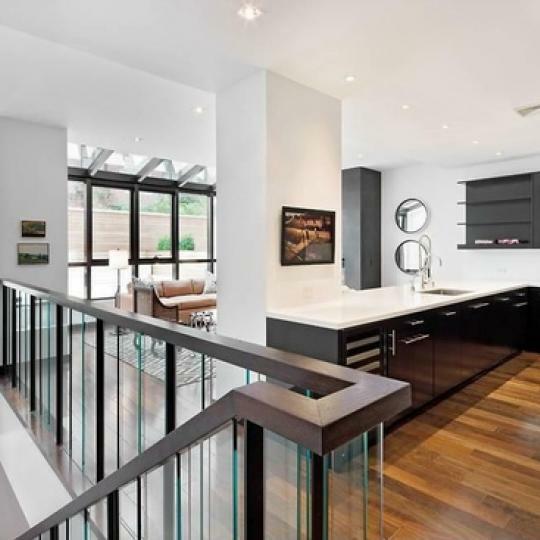 Residences flaunt walnut flooring, custom-designed maple cabinetry, heated flooring in the master bath and ceilings that stretch from 10 to 18 feet high. 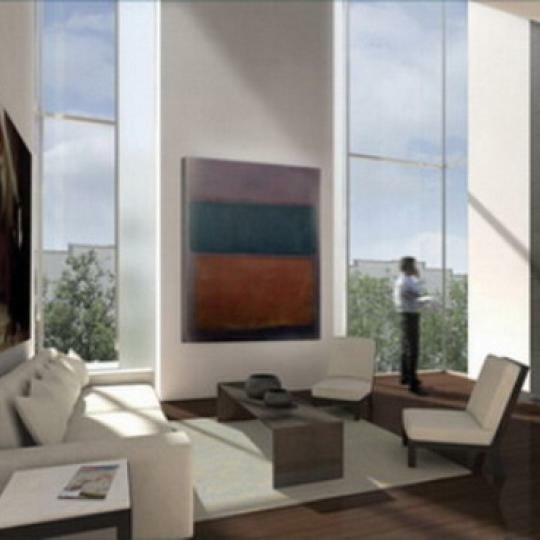 Amenities are great at 385 West 12th Street. The roofscape mentioned earlier has a 50 foot lap pool, spa, workout and meditation area, outdoor shower, gas grills and a built-in dining area for residents who want to entertain. 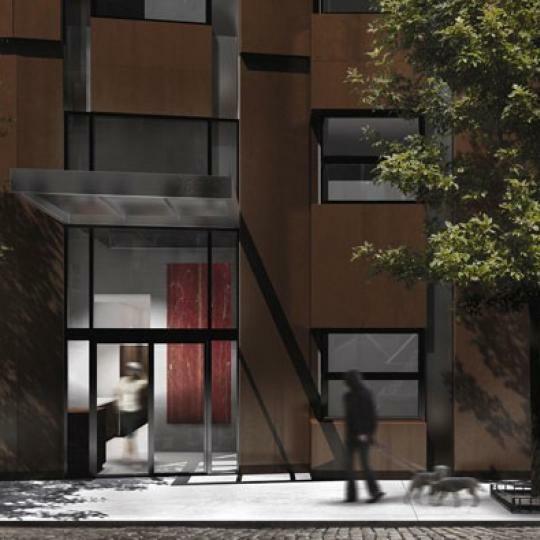 Other great things about 385 West 12th Street in the West Village include a 24-hour lobby attendant, direct keyed elevator access to each apartment, and a full time housekeeper/laundress. 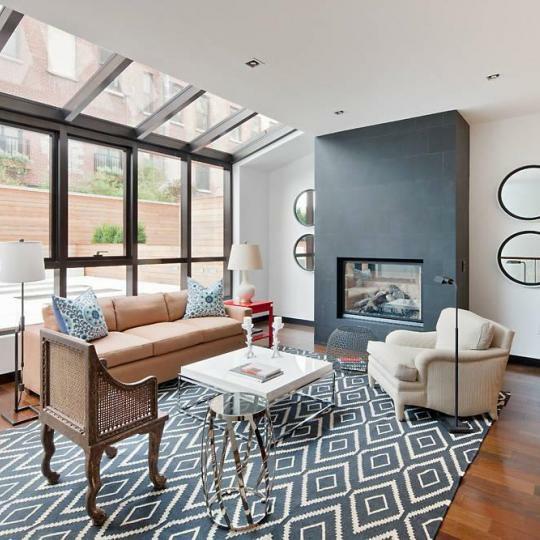 The spectacular apartments for sale at 385 West 12th Street are made even better by the unique amenities that the building offers its West Village residents. Interested in staying informed the 385 West 12th Street and other luxury condo buildings throughout Manhattan - you have come to the right place. 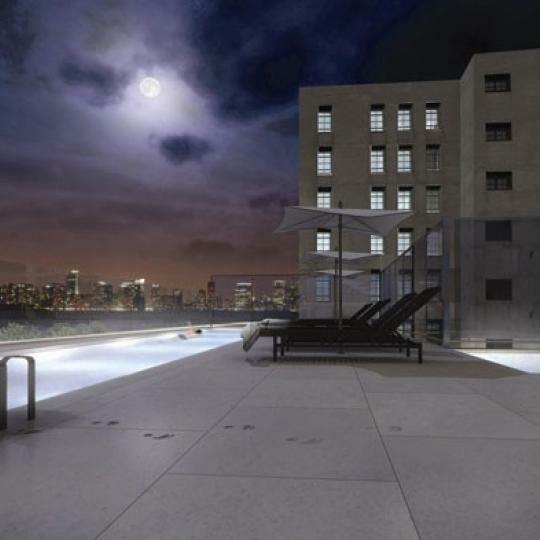 A rooftop shindig was thrown for the last Townhouse on sale at 385 West 12th Street. The space was on display while finger food and views were available on the roof. 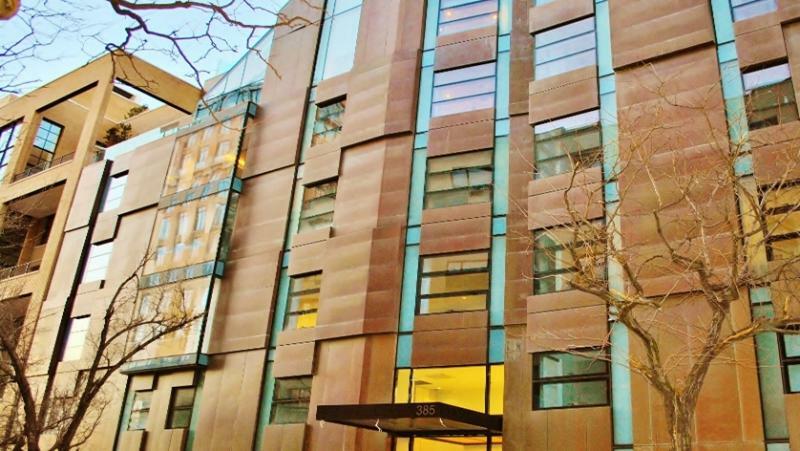 #PHE of 385 West 12th Street boasted an asking price of $12.5 million back in 2007, yet was recently purchased for only $9,164,250. "Townhouse" 2 of 385 West 12th Street has been sold. With a previous asking price of $7.495 million, it ended up going for a smaller $6,860,000. 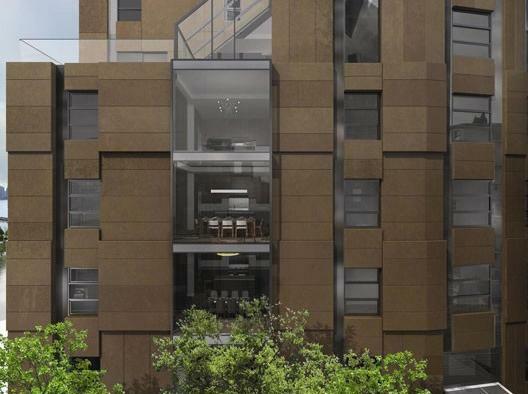 Of the twelve apartments on the market, seven are already in contracts between $5.795 million and $12.5 million.